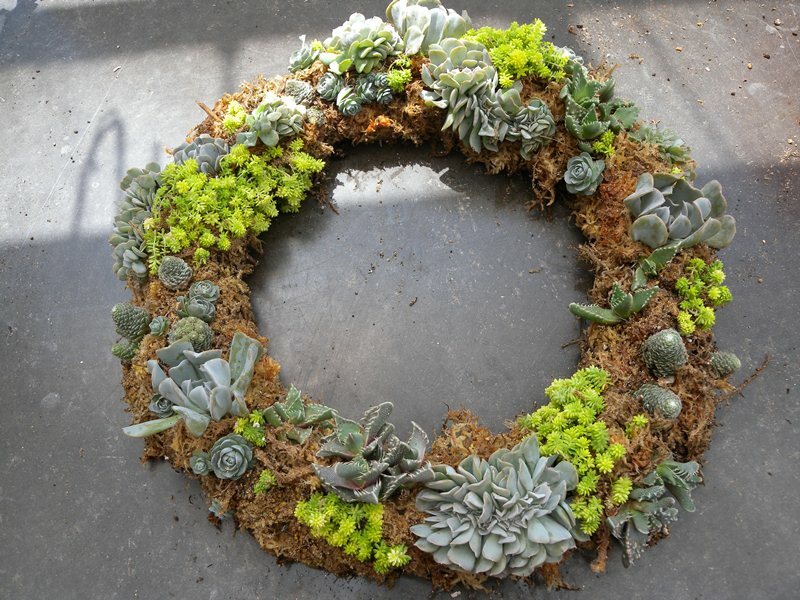 Living succulent wreaths are one of the best ways to show off the jewel-like qualities of succulents. 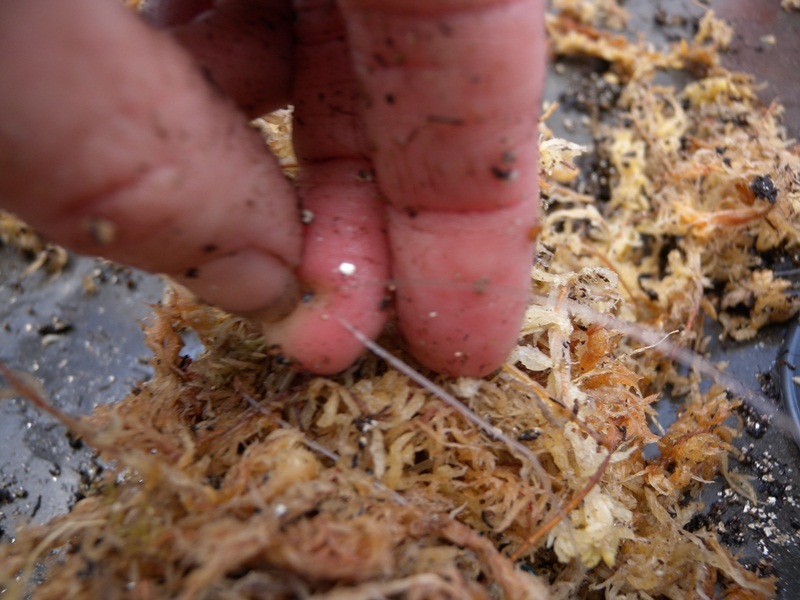 The one demonstrated here is assembled using rooted plants or cuttings on a wire frame covered with moss and attached with mono-filament line (fishing line). 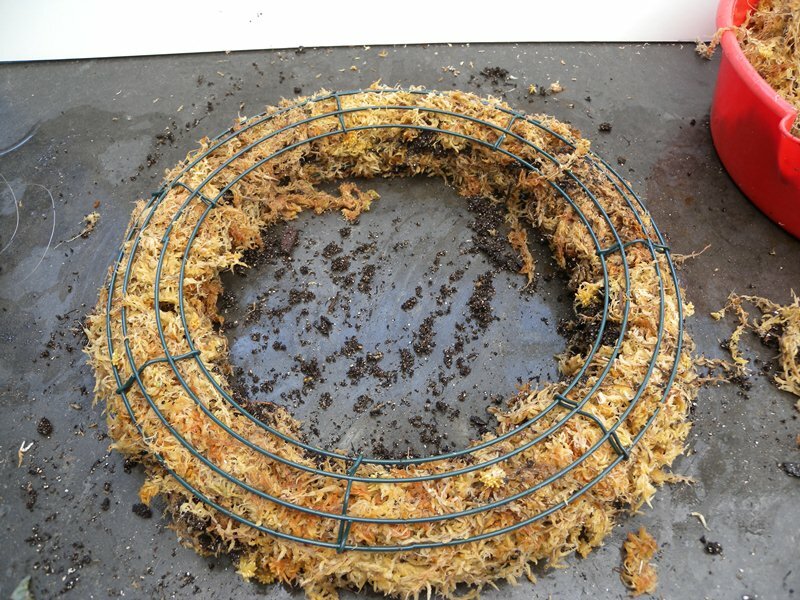 Some wreaths, like the demonstration that follows, include potting soil inside the frame to give added water-holding capacity. 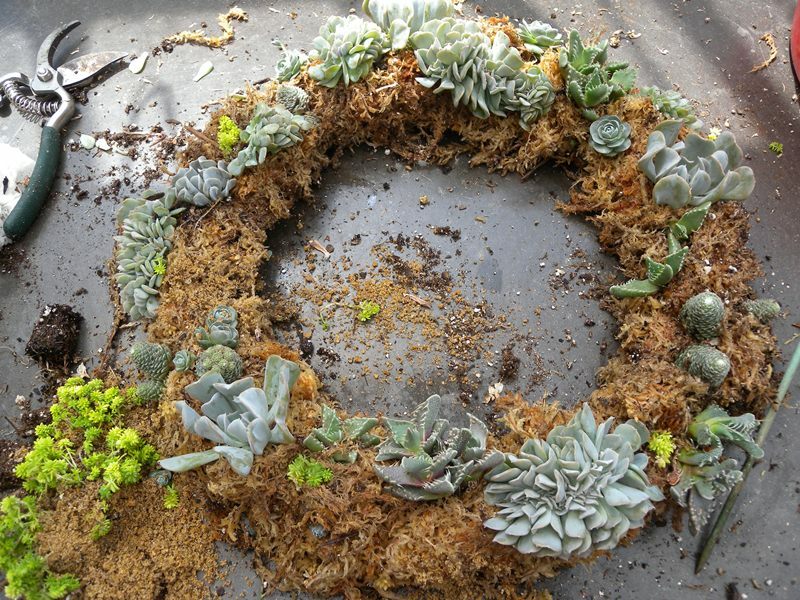 Spring, when rooting takes place quickest, is the best time to make your succulent wreath. 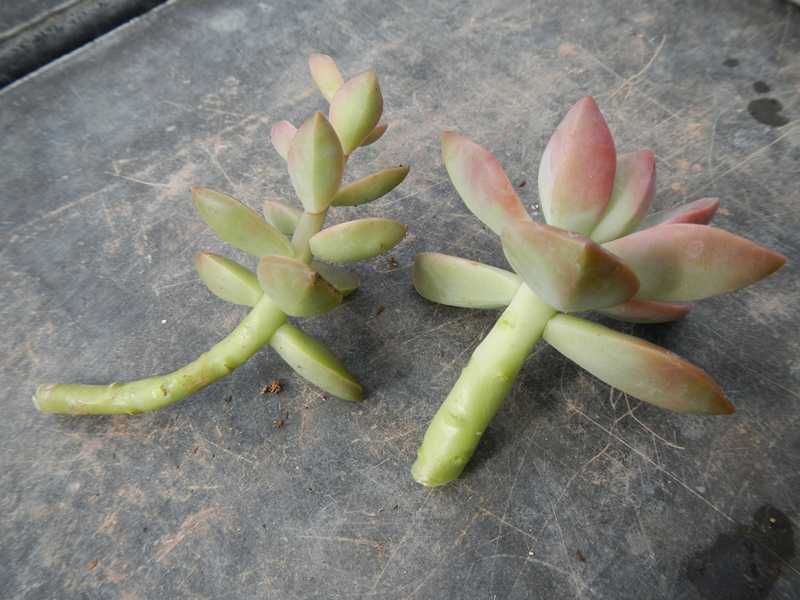 Choose from succulents, echeverias, crassulas, graptopetalums, aeoniums or whatever is available. 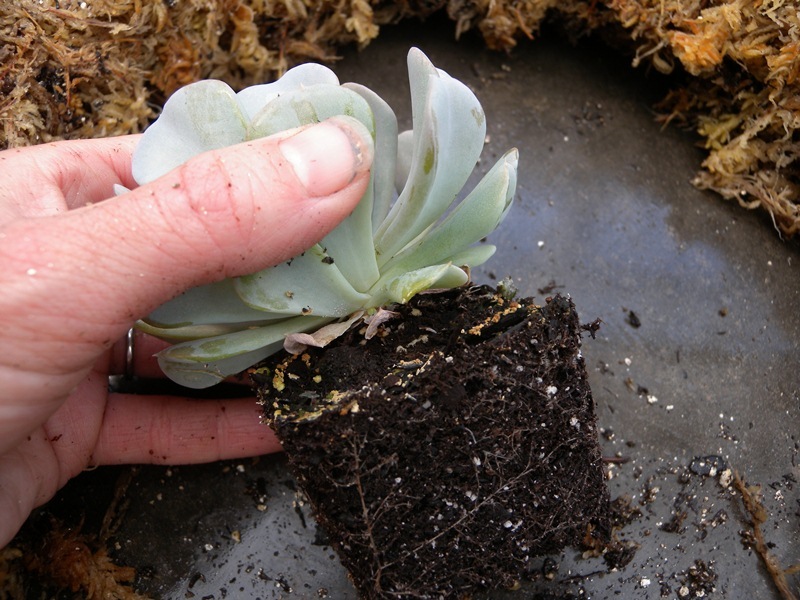 You may also want to use small pots of vining plants and rooted succulents (such as, sedums and hens & chicks). Using a variety of colors, textures, forms and sizes will add to the interest of your wreath. You will need about 60 small plants or cuttings with a short stem on them (fewer if they are very large). 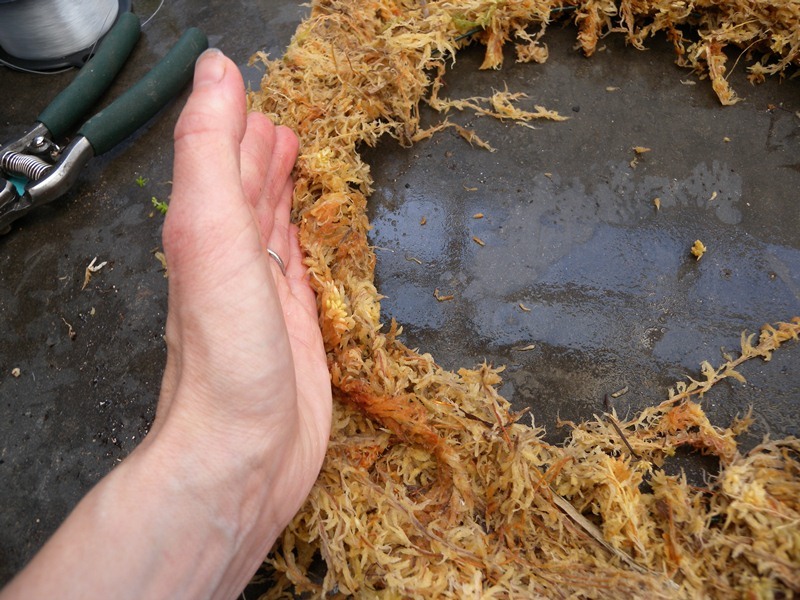 Cuttings should be made 1-2 days in advance of assembling the wreath to allow the cut ends to dry and heal (callus over). 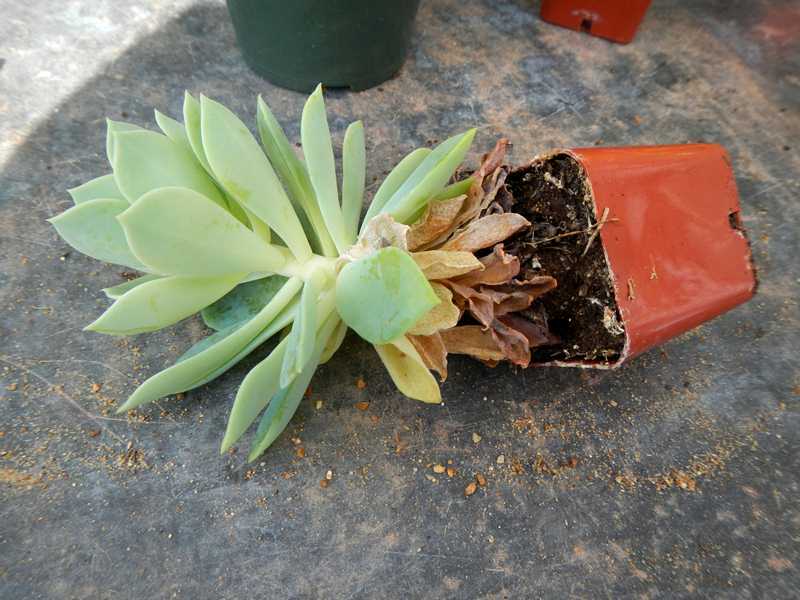 Not doing so may result in the cuttings rotting. 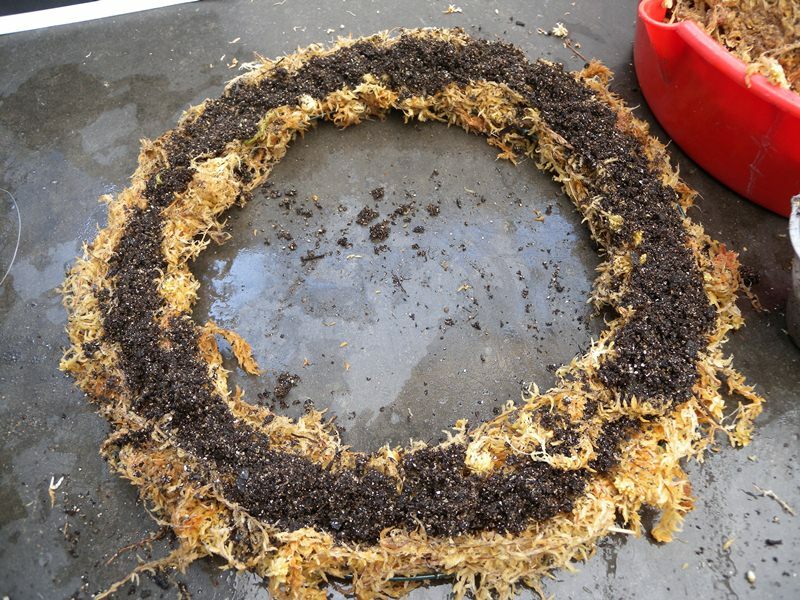 For plants too large to place the soil ball and roots in the wreath, remove the plant from the pot, strip off the lower leaves and cut the plant leaving 1 1/2 to 2 inches of stem on the cutting. 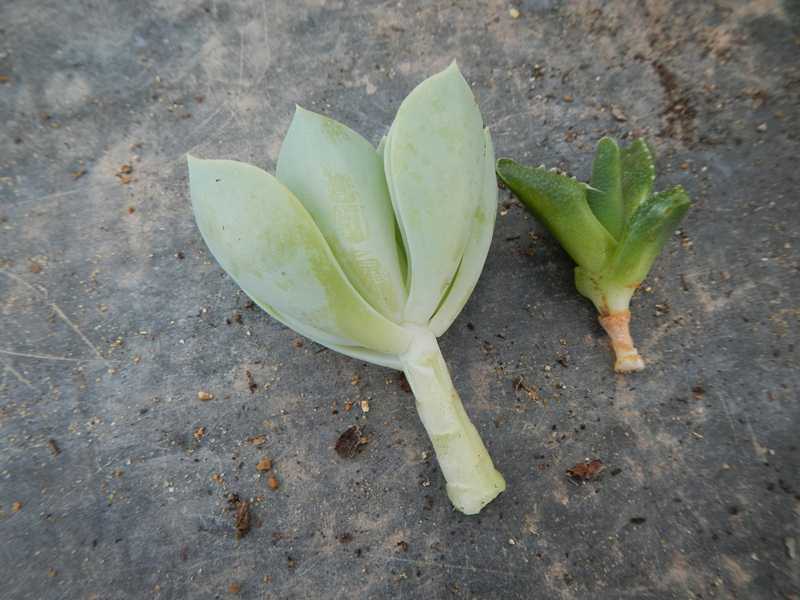 Small cuttings can also be made by removing small tips from a mother plant. Let the cut end dry and callus on the counter for 1-2 days before you assemble your cuttings into your wreath. 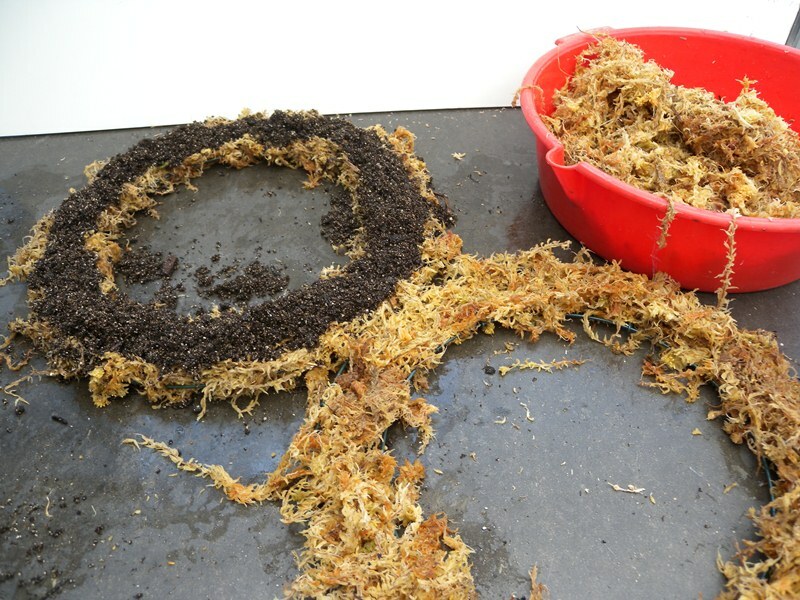 Submerge the moss in a bucket of water for a couple of hours until the moss is completely saturated. 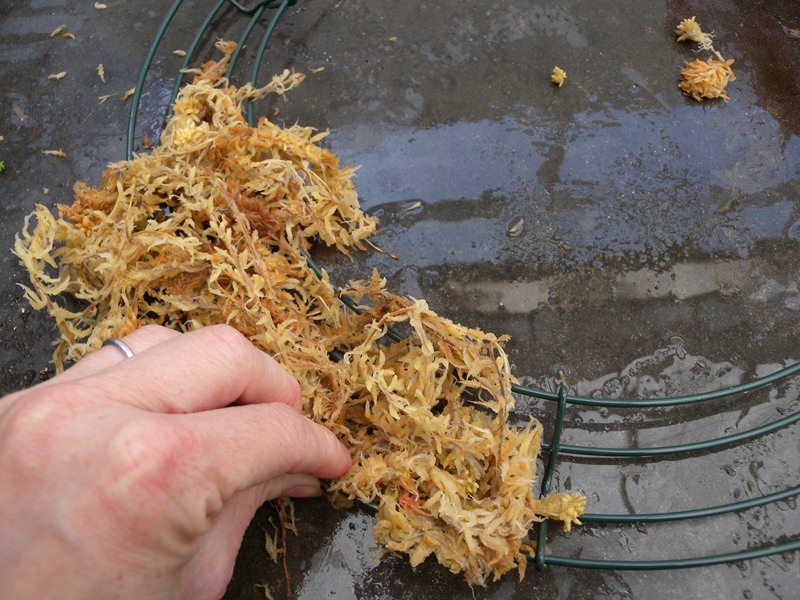 Moss can be difficult to get wet when it is dry so make sure it is submerged and be patient. 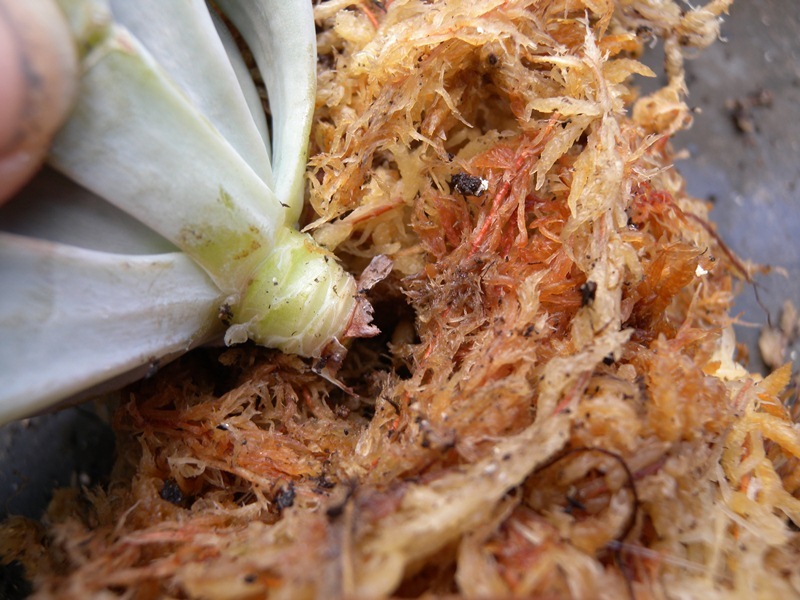 If the moss is not properly moistened, the cuttings will not root properly. 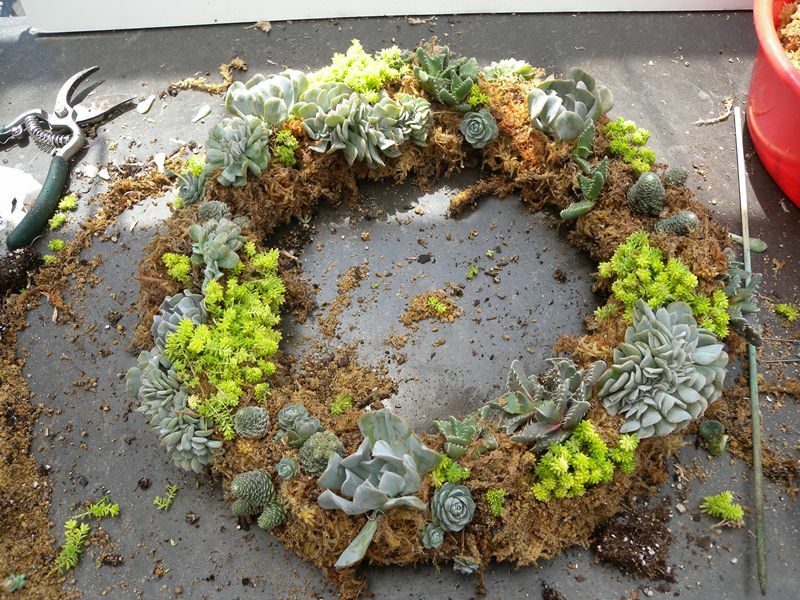 Place the wire wreath frame concave side up (like a boat) so you can fill the depression with the moist moss. Place damp moss in the depression and firm it down in. Continue around the frame until the bottom of the frame is completely covered. 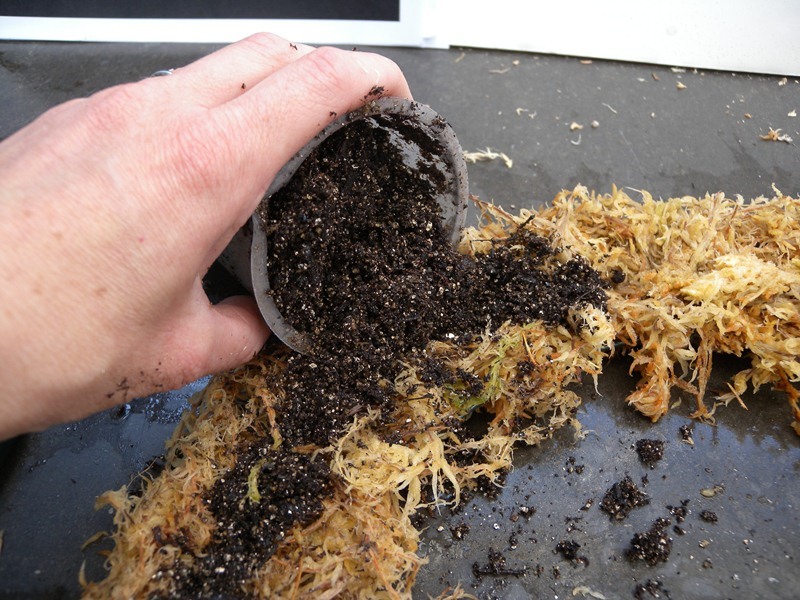 Press the moss into the hollow around the frame to make room for the moist potting soil. Gently add the moist potting soil in the depression around the frame. Lightly press the soil down and mound it slightly. Add moss to the second frame as before. This second frame will cover the first frame with the potting soil in it. Invert the second moss-filled frame over the first frame that has the soil in it to completely encase the potting soil. 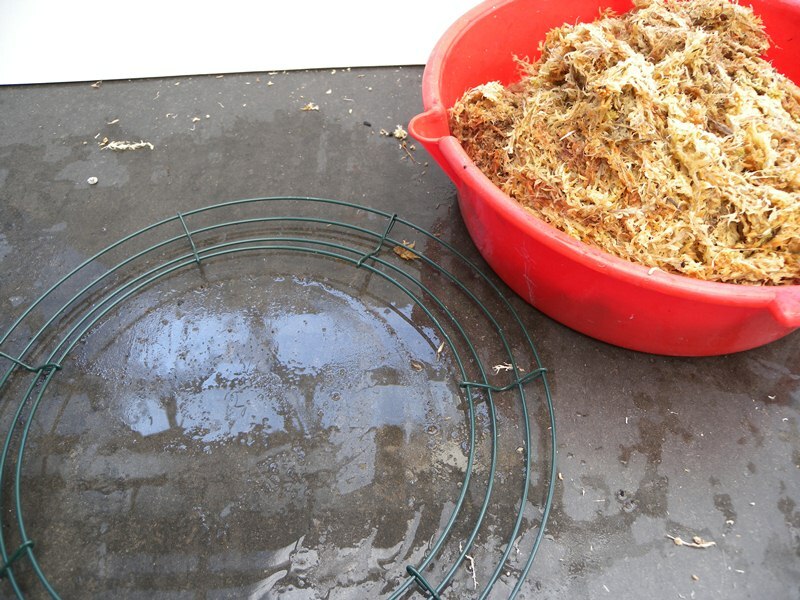 Cover the top of the inverted frame with damp moss to completly hide the wire frame and provide more moss for the plants to grow in. Wrap mono-filament line around the the two frames and knot it to secure it and tie the two frames together. Using the mono-filament line, pull securely, and wrap the mono-filiment line around both frames to secure them together. 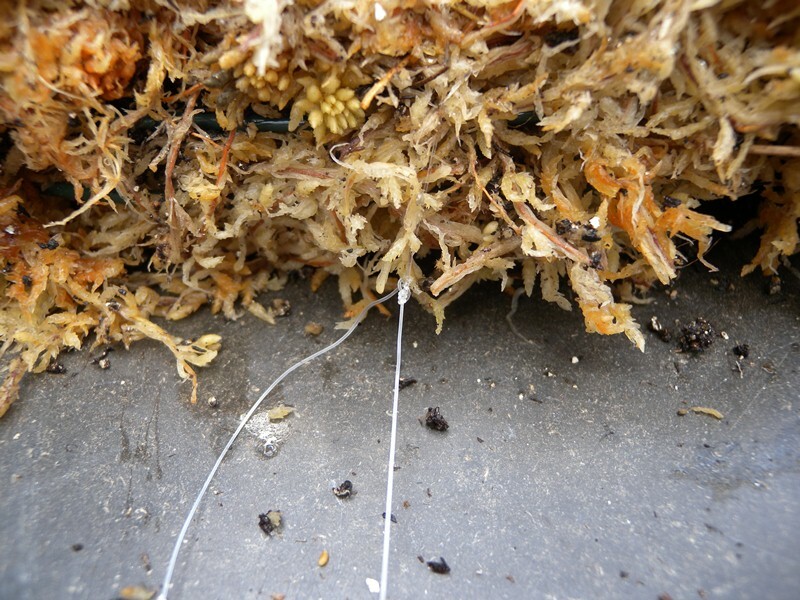 The line should be about one inch apart to make sure the moss is secure and will not fall off. When you are back to where you started tie the line securely to the frame so it doesn't unravel. 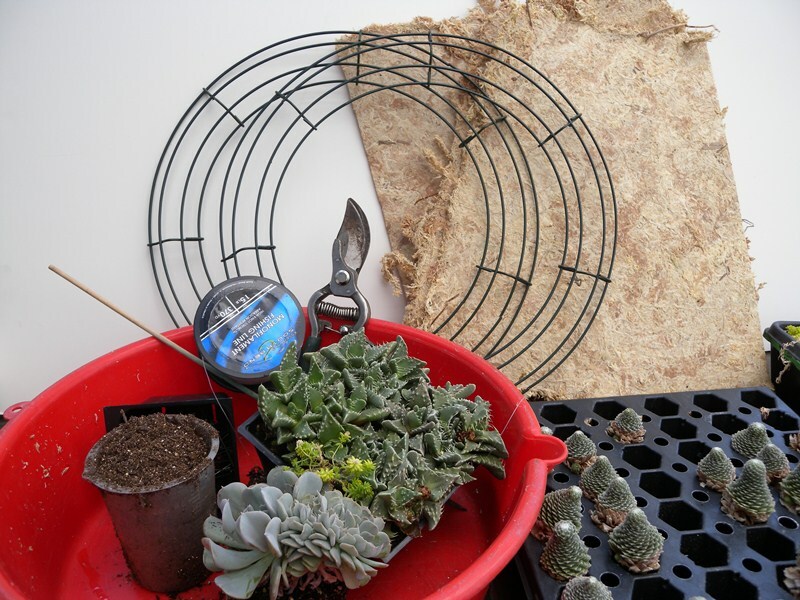 Plants rooted in pots (hens and chicks, as well as other small succulents) should be pulled apart with enough soil removed so that you can tease the roots into the wreath. Large plants may need their roots cut off so they can fit in the frame. 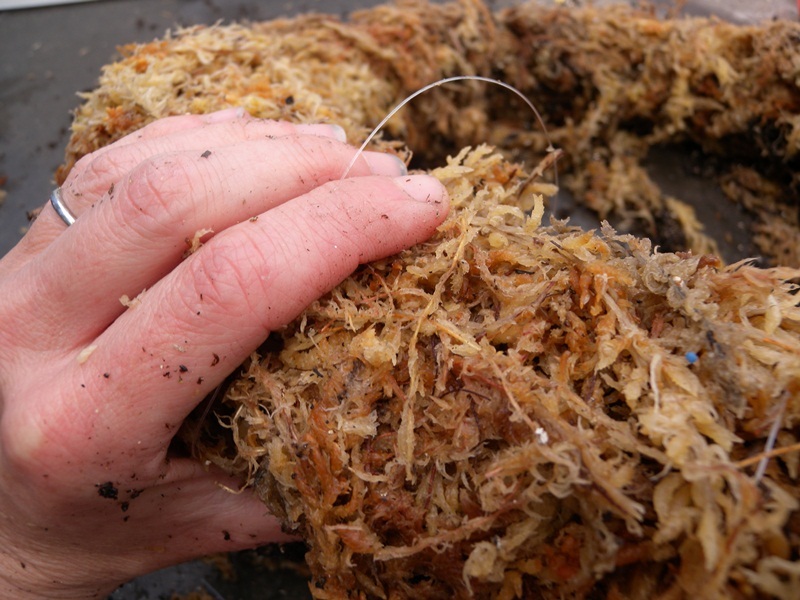 NOTE: If plants will need to have their roots cut off, this should have been done earlier and the cut end allowed to dry and callus for a day or so. 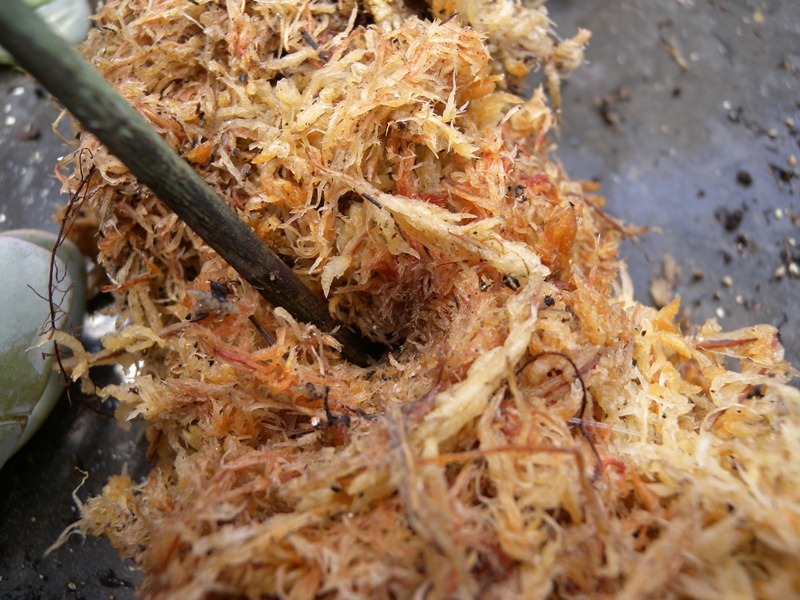 If not allowed to dry and callus, the cut end is very vulnerable to rotting when inserted into the damp moss and soil. When the plants and cuttings are prepared but before you start planting them, arrange them on the wreath to form a pleasing arrangement. 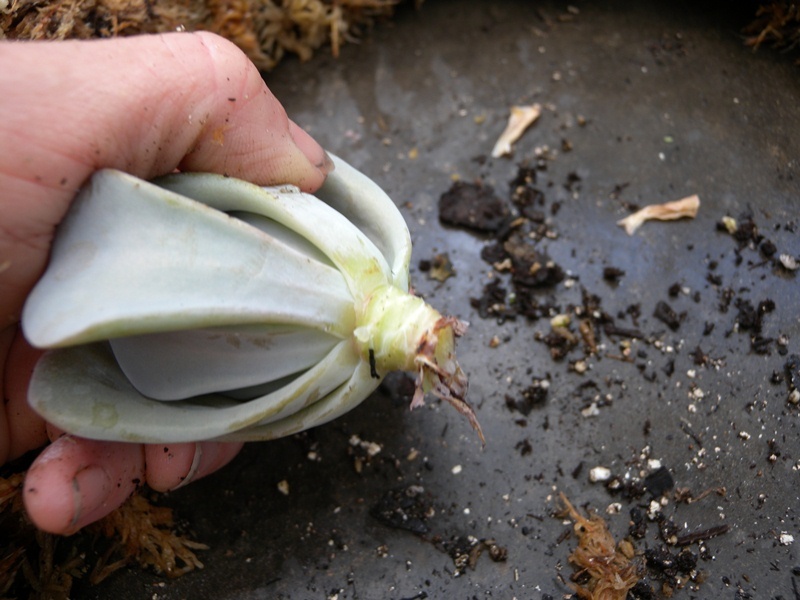 Then, begin by planting the rooted plants first and then inserting the cuttings. With a fat ballpoint pen, pencil or dowel poke a hole in the moss. (You must apply pressure to make a small cavity.) 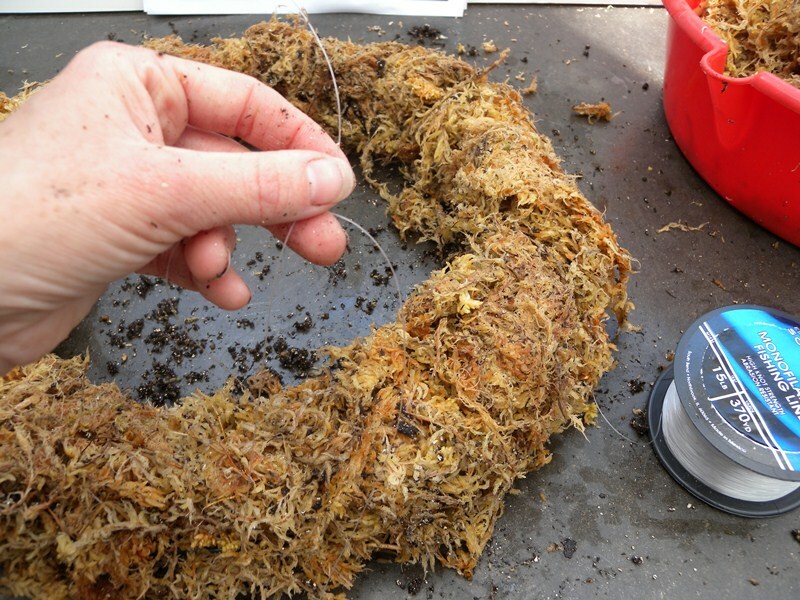 Then, insert a rooted cutting in the hole and tease the roots into the moss and soil. Press to firm the moss around the cutting. Continue adding the rooted plants around the wreath. If some plants are small, you can combine several. 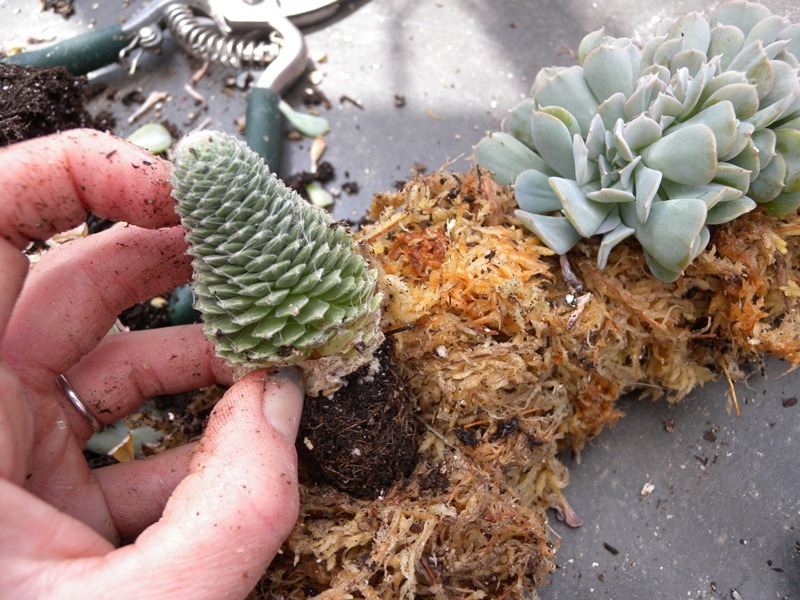 Next, insert the unrooted cuttings of other succulents such as, echeveria, crassula, graptopetalums or aeoniums. Press each cutting into the moss so it is securely seated. 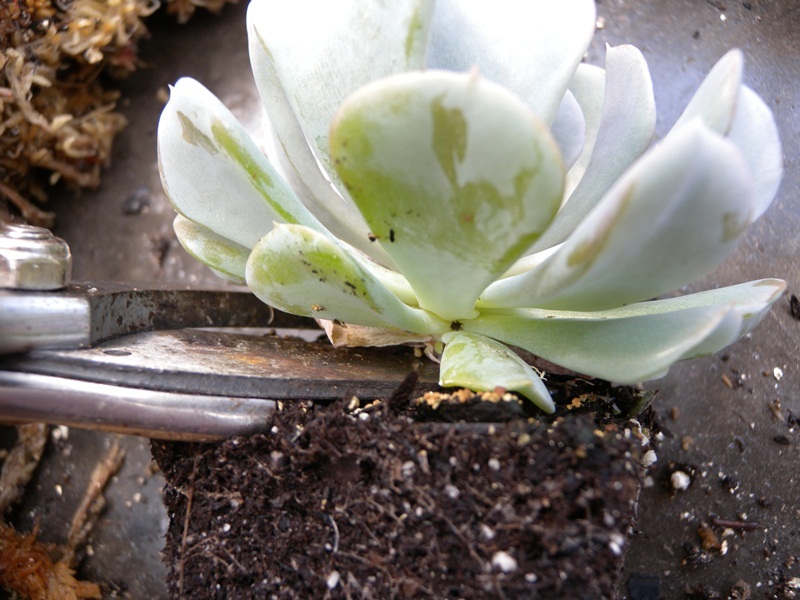 Using a floral clip (pictured) or bent paper clip shove the clip into the moss over the cutting to secure it. Work your way around the wreath adding the plants and securing them as you go. 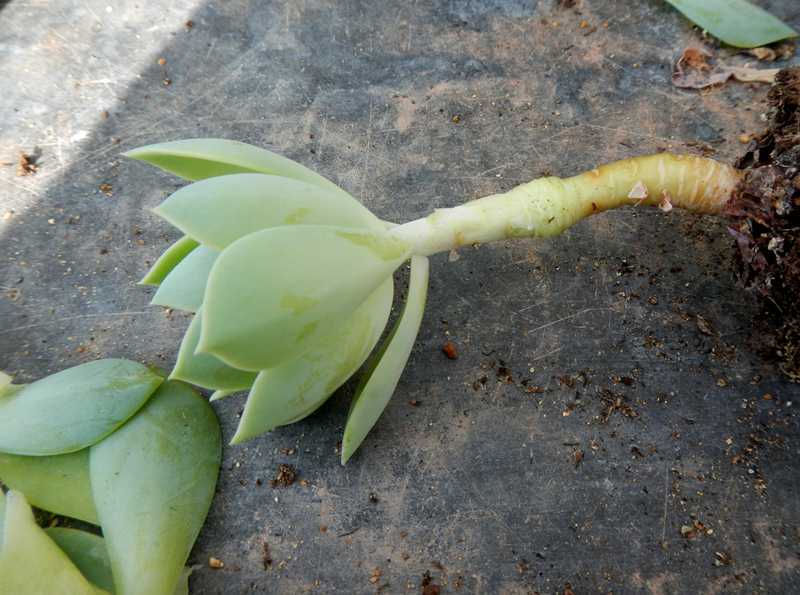 It will take about a month for the cuttings to root. During this time, keep the wreath lying flat. 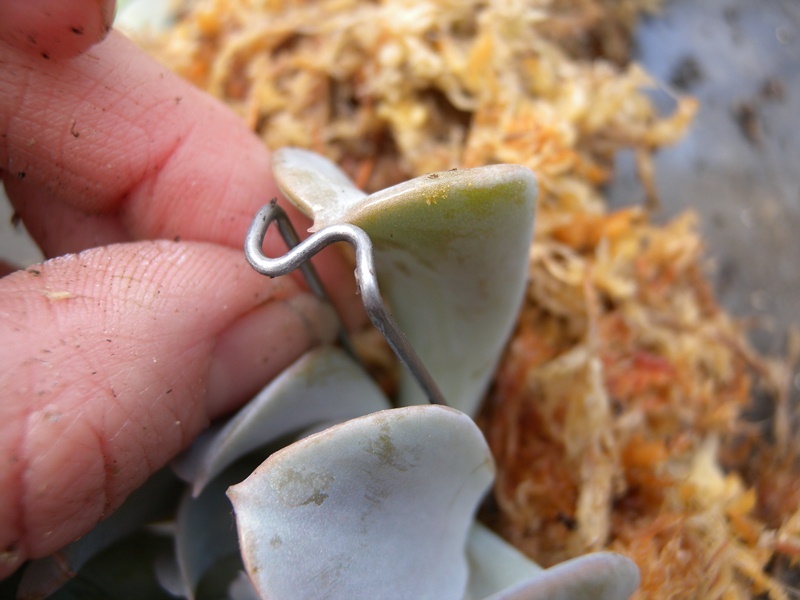 Once the cuttings are rooted the wire clips can be removed. 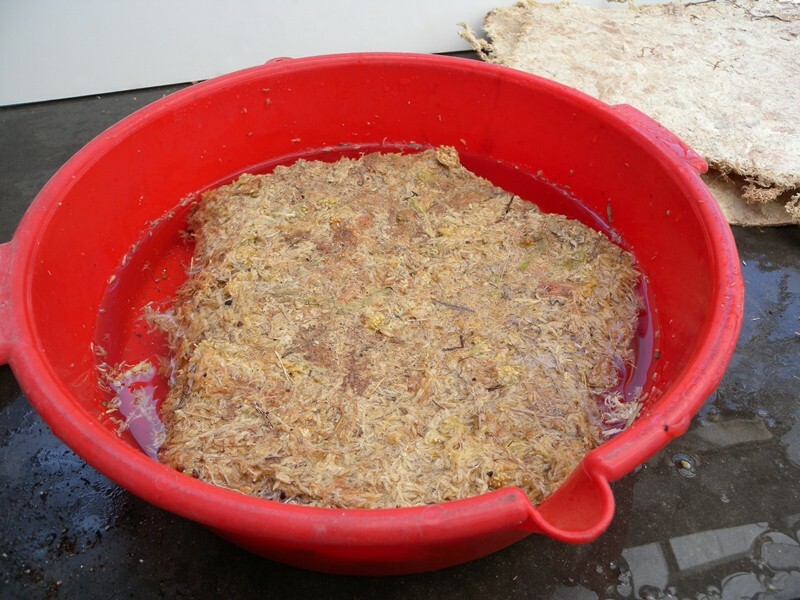 Water as needed to keep the moss from becoming too dry but avoid overwatering which could result in rot. If you want to hang your wreath, make sure the cuttings are well rooted before doing so or gravity will pull them down. 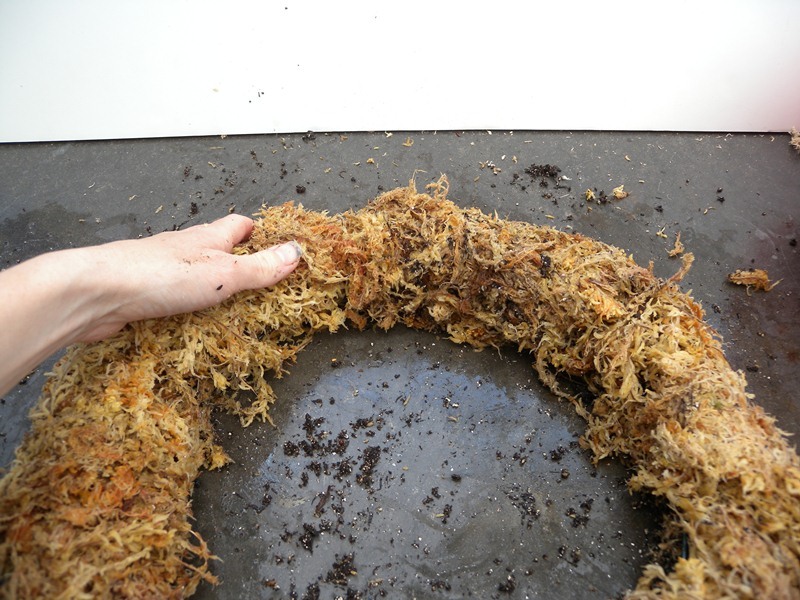 Locate your wreath where it receives good light and keep the moss damp but not soaking wet. When you water, it is a good idea to water the wreath, wait half an hour and then water it again to ensure that water has been fully absorbed. 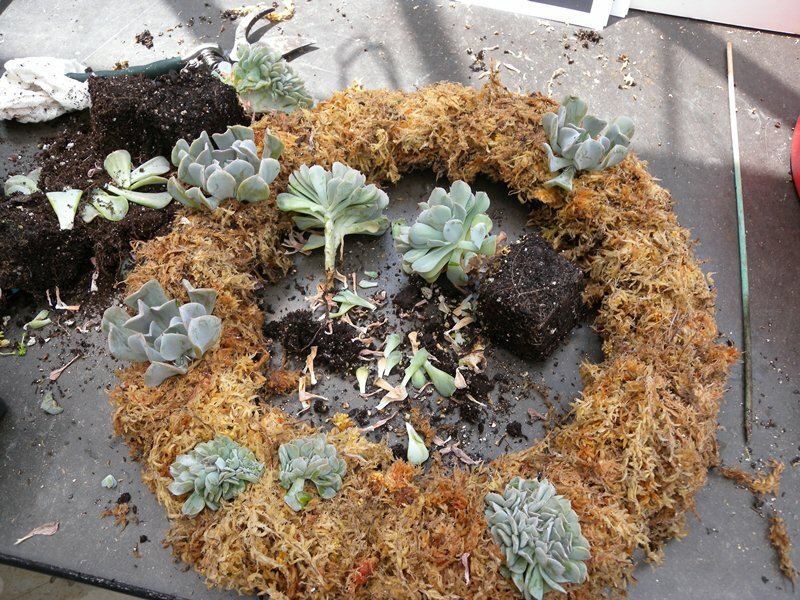 If the wreath gets too dry, it can be difficult to re-wet and your succulents may die from lack of water.